“Exuberant” would be an understatement in describing the life and energy of Cara. She has the type of contagious spirit that makes everyone around her have a good time. As a bride, she was spontaneous, challenging us both personally and professionally. Her day at the Hotel Monaco was one for the books. Family being important to her, Cara began the day by making a call to her grandmother who was unable to celebrate the marriage in person. It was great to be able to capture this sweet moment that spoke volumes of the bride’s character. After the ceremony at St. Patricks (where another JPG couple and close friends Kara and Andrew wed), Cara and Chris decided they needed a tasty treat and found frozen yogurt! It was incredible that after just having said their vows, the pair decided to celebrate their wedding like a leisurely day instead of giving into the traditional chaos. At the reception, I witnessed amazing dance moves from everyone on the dance floor, but Cara led the show, giving two separate lip-synching performances to Brittney Spears, singing “Oops, I did it Again.” It takes a special kind of extrovert to sing to 200 of your closest friends and family in your wedding dress and nail it. She was so good that when JPG had its 10th anniversary party, we invited her back for a repeat performance, and once again, she blew the roof off. 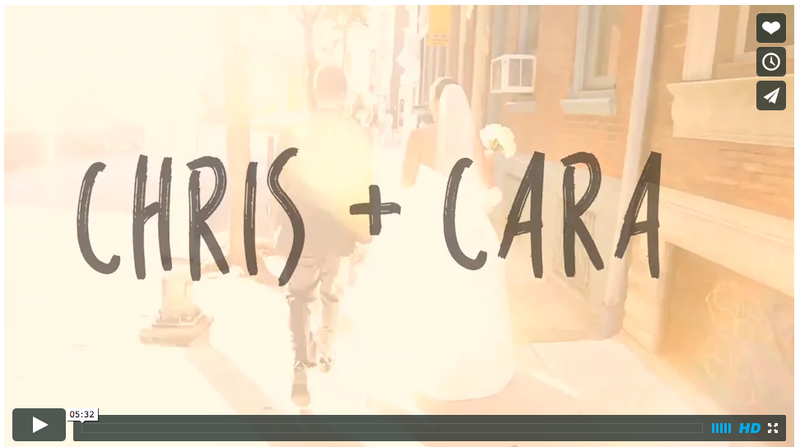 Cara and Chris, we enjoyed your incredible energy throughout the day. Your smiles and pure elation made our jobs easy. It was an honor to document your story.